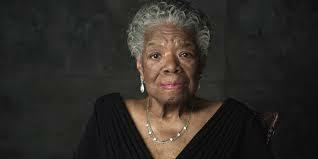 These three words are Maya Angelou’s and they have inspired this morning’s post. I don’t know about you but I search for wisdom. And as is evident in her three words, it does not take many. I don’t need a long or grand speech, just a couple of thought-filled and authentic words can release me from longer words that have bound me hand and foot. I open books with an eager excitement and hope that courage will come, peace will be found, assurance will be given. I look for good words that might guide me to a higher place, to a better part of me. And the need is fresh every morning. I am hungry for words, driven to write them and read them every day. Beautiful message and video Starlette. “How does integrity face oppression? “In speaking of love at this point, we are not referring to some sentimental or affectionate emotion. It would be nonsense to urge men to love their oppressors in an affectionate sense. Love in this connection means understanding, redemptive good will. When we speak of loving those who oppose us, we refer to neither eros or philia; we speak of a love which is expressed in the Greek word agape. Agape means understanding, redeeming good will for all men. It is an overflowing love which is purely spontaneous, unmotivated, groundless and creative. It is not set in motion by any quality or function of its object. It is the love of God operating in the human heart. We must “just do right,” Glenn. What a simple but beneficial post. It is nudges us to pursue our best with God.